When it comes to beer, we’ve got it all..
All of your favorites—like Budweiser, Coors, Miller, and all the common brands—as well as hard-to-find and specialty brews, too. Tons of domestics. Tons of imports. All sizes, containers, and varieties, too. Stop in and see our amazing inventory, which includes not only canned and bottled beer, but kegs, taps, ice, soda, and snacks. And if for any reason we don’t have something you like, ask us and we can special order it for you. We’ll get right to the point: we sell a huge selection of specialty and micro beers. Whether you're talking about small-plant micro brews, rare imports, or just a hard-to-find brand from a major distributor, we've got some of the finest beers available anywhere. Plus we've got a whole assortment of seasonal products, whether it's that special winter ale, Oktoberfest brew, or holiday item. If you love beer, you'll love Islip Cold Beer. Fresh, locally-brewed beer. Sound good? We've got eight draft lines on tap. Buy a growler or bring your own and leave with some of the best local beers brewed on Long Island. We serving up fresh tap beers from local breweries like the Greenport Harbor Brewing Company, Fire Island Beer Company, and Long Ireland Beer Company. We're always getting new items in to flow through the taps, so stop on down frequently, or check out our listing on our Beer Menus page. Need a keg? We’re your source. We'll keep the beer flowing and can also lend you the taps and tups you'll need for your party or event. We readily stock the most popular brands—Budweiser and Coors, for example—so there usually is no need to order these common barrels in advance. The exception to this rule would be on popular holiday weekends: 4th of July, Memorial Day, Labor Day, etc. 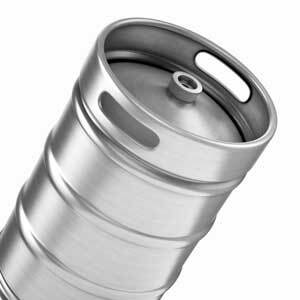 Demand for kegs skyrockets on the holidays, so while we probably won't run out of stock, you're always best to call us a week or so in advance to reserve your keg and ensure availability. 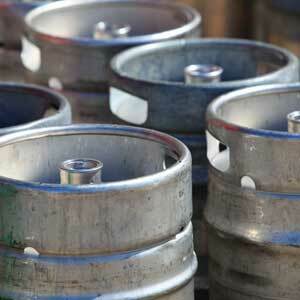 Kegs containing more specialized brands of beer may have to be custom order for you. It could take up to two weeks before they're available, so be sure to contact us well in advance if you're looking for something special. Whether you're looking for popular standards like Coke & Pepsi or specialty sodas like Boylan and Stewart's, you're bound to find the soft drinks you want at Islip Cold Beer. We also have an impressive selection of iced teas, bottled waited, and energy drinks. 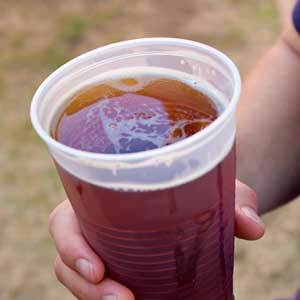 When it's time for your party, let Islip Cold Beer help you cater to your alcohol drinkers and non-drinkers alike. We’ve got ice for all your needs, and that includes bag ice and block ice, alike. We've got huge poly-bags for larger gatherings or individual 5-pounders for smaller ones. Plus, we've got the large block ice you'll need to keep your keg or cooler frosty cold, or mammoth 300-pound blocks for big parties or ice sculptures. It’s all on hand and in-stock. Keep the grill going for your summer barbecue or throughout the long winter. Drive up to our convenient propane filling station for a full tank and easy-in, easy-out service.